Love this grill! The only drawback is the cleaning. Had older model of this unit for 10 years. This unit fit perfectly in the cutout and the rear burner actually works on this one. It never worked on the older model, but I didn't install that one myself either. I believe the previous installer never changed the orifice on the rotisserie burner.. I am extremely happy with this grill.. I had to replace my old Charcoal brand grill. I wanted something that would last, so I bought the Cal Flame P4. This grill is built to last. Love it. Easy to clean and very durable. This grill was a bit above my price range, but I wanted a grill that would last a long time. The durability and quality makes this grill a bargain for the price. The way it fires up each time and how it cooks everything evenly. It won't cook on it's own. 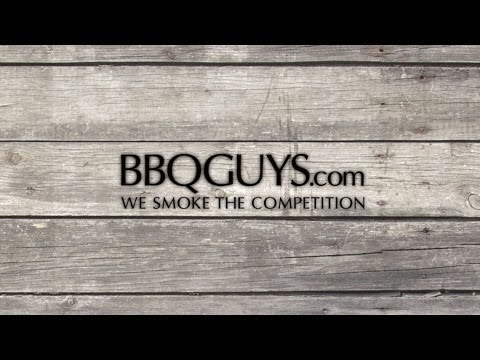 You still have to watch and rotate the meat LOL Anyways, I highly recommend it for anyone looking to replace or just buy a grill for the first time. It could be your last grill. 7 years of use and its time to dispose of. This is a descent grill for the money. The lights quit working after about 3 years. The drip plates have been replaced a few times but now the grill is deteriorating inside. So it needs to be replaced This grill is used approximately 4 times a week. It is under cover so it rarely is susceptible to inclement weather. After years of wanting a great grill and doing a TON of research I decided the P4 had all the bells and whistles I was looking for. The fact that the 'deal' which included the rotisserie, cover, griddle, etc. just made the deal that much sweeter. The grill has been installed for approximately 2 weeks and the rear infrared rotisserie burned has yet to stay light for more than 3 minutes before there is a "blow out" sound and the noise made by a model jet plane. Shoppers Choice arranged for the mfg to send a replacement burner but after FINALLY speaking with Cal Flame's 'tech' guy, I was told the burner is probably NOT the problem. He had me disassemble the grill back, check for constant gas flow which seemed to be working and I put everything back together - and i have the knuckle wounds to prove it! After checking what the tech support guy had me do, I tried to fire up the rear burner. It caught just as it was supposed to and when it stayed on for more than 3 minutes, I thought the problem was fixed - then it blew out again. The jury is still out because I asked for a service technician to come to me to fix the problem OR for me to be shipped a new grill - their choice. I don't mind doing minor repairs (I'm pretty tech savvy myself) but it reaches a point where someone needs to stand behind their product. The P4 has some great features; how great Cal Flame is as a company will be determined in the next few days. I purchased this grill about a year and a half ago. It has never had even heat across any of the burners. I called Cal Flame directly and they gave me 4-5 things to try but nothing worked. I have spent countless hours trying to get it to work properly myself. replacing hoses, regulators, checking for leaks, leveling the grill, adjusted flame height, etc. I have had 2 main grills in the past. A Weber which worked great for about 10yrs then a built in from BBQ's Galore which worked great for 10yrs. We're so sorry about the issues that you've had with your grill. We want to help you resolve this! Please let us know if there is anything that we can help you with. Not only does the P-Series look like a pro-style grill, it has the features you often see in a high priced grill. 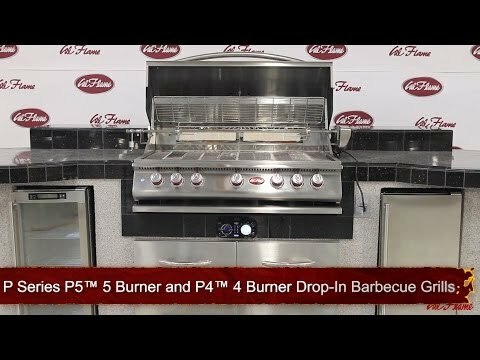 P-Series grills come in 4 burner and 5 burner models, and the body is constructed with 304 grade stainless steel, which is known as the most durable stainless grade for gas grills. Another nice detail that caught our eye is the double-lined hood. The extra layer of metal inside the hood shields the grill, and keeps it from becoming discolored due to high heat. The internal lights are also a nice touch, so you can grill in the evening. Inside the grill, the P-Series has cast stainless steel burners, a style of burner typically found on higher priced grills. These burners are rugged and powerful, so you’ll have no trouble getting those restaurant-style sear marks on your food that everybody loves. Also included, is a rear infrared rotisserie burner that pushes out 15,000 BTUs. 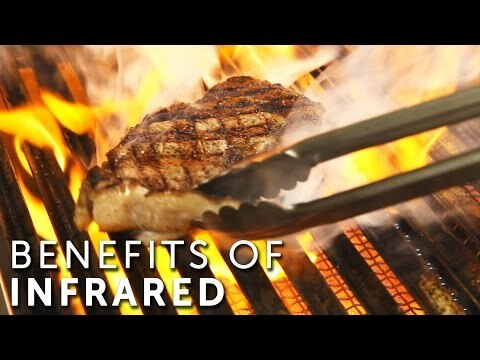 The cooking grates have a unique, v-shape design that creates distinctive sear marks. The v-shaped flame tamers also help spread out the heat, and the grill has relatively even heating. If you need more power, you can upgrade to an infrared sear zone burner which can be swapped out with any of the other burners. Included with the P-Series grills are a griddle plate, smoker box, and grill cover. Cal-Fame also offers some pretty cool optional grill accessories for the P-Series, including a charcoal tray, to convert your gas grill into a charcoal cooker, along with a deep fry station and pizza brick tray. Cal Flame offers a complete assortment of outdoor kitchen equipment, which is nice if you’re building an outdoor kitchen. Most of our customers consider it a real plus if they’re able to have matching components in their kitchens. The Cal Flame P-Series measures up fairly evenly to competing brands, and it's difficult to find any glaring problems with the grill. One thing to note is that the grills are only available as built-in models, with no free-standing cart option available. The v-shaped flame tamers do have a slight disadvantage minimizing flare-ups when compared to "grid-style"” flame tamers which cover the full width of the grill. Though the v-grates cooking grates are unique and add an interesting look to the grill, they’re slightly more difficult to clean compared to traditional grill grates. 30 7/8" 30 5/8" 30 5/8" 31"
22 1/4" 21 1/4" 21 1/4" 21 1/2"